Last weekend, my teenage daughter excitedly asked me if she and her classmate can watch a concert of a famous Korean band. Since I mostly listen to music from the 1940’s through the 60’s, the bands and singers of the current generation is all foreign to me. My eyebrows jumped off my face when I saw the price for economy rate seats for the Korean band’s concert--$150! Concert prices sure have come a long way since I was a kid back in the 1960s and 1970s. Pilita Corales was the first female to top the Australian pop music charts in the late 1950’s. The ReyCards Duo (Rey Ramirez & Carding Cruz) found success performing a musical & comedy show in Las Vegas, Nevada during the late 1960’s. Freddie Aguilar’s own composition entitled “Anak” hit the number 1 spot in Japan’s music charts. The song also became popular in Malaysia, Hong Kong and parts of Western Europe. Lea Salonga became world famous when she was selected for the lead role in “Miss Saigon”. Charice Pempengco stunned the American musical audience when she performed in Ellen De Generes & Oprah shows. She is currently performing in concerts all over the world. All these Filipino artists broke through the music industries outside the Philippines because they had a God given talent. But before Charice, Lea Salonga, Reycards and Pilita Corales, there was a Filipino band that became famous in United States. This is their story and also the story of their courageous African-American leader, Lt. Col. Walter Loving. Walter Howard Loving was born to former African-American slaves in Lovingston, Virginia in December 1872. Two years after Walter was born, his mother passed away. The Loving family which consisted of the father, three boys, two teenage girls (one of whom was married and has a son), had to crowd in a small house. In 1891, Walter moved to Washington D.C. and showed his musical talent by playing the cornet and directing the second Baptist church choir. In June 1893, he enlisted in the U.S. army and was assigned to the 24th Infantry regiment because he indicated his occupation as musician. Back then, African Americans who enlist in the U.S. Army were assigned to one of four segregated regiments: 9th & 10th Calvary regiments and 24th and 25th Infantry regiments. Private Loving was stationed in Fort Bayard, New Mexico in July 1893 and was transferred to the band in January 1894. Military bands were an important part of every regiment because they play in parades and unit dances. In 1898 at the treaty of Paris, the nation of Spain sold the Philippines to United States for $20 million. When the U.S. took possession of the Philippines, it also bought itself a war with the Filipino revolutionaries who were fighting for the independence of the Philippine nation. The Filipino-American war cost the U.S. $600 million. There were about 28,000 American troops stationed in the Philippines and to augment this number, additional U.S. troops were shipped to the new colony. Loving was assigned as a chief musician in the 48th U.S. Volunteer Infantry, which is one of the African-American regiment that was sent to the Philippines. The other colored regiment was the 49th Volunteer Infantry. In January 1900, the 48th Infantry arrived in Manila. A local newspaper, the Manila Times, printed an announcement saying that 200 trained singers would be performing at the Luneta public park accompanied by the U.S. 48th regimental band. When the African-American troops were deployed at different defensive lines around Manila to repel attacks from Filipino troops, Loving and his musicians tried their best to boast morale. On March 1900, the 48th regiment was moved to the city of San Fernando, La Union. The troops found the place quite inhospitable with its mountainous terrain, thick overgrowth and very few roads. But in spite of these hurdles, troops of the 48th was able to operate well in the area which impressed Col. William Duvall, which was the 48th volunteer infantry commander. Loving was later promoted to second lieutenant. In May 1901, the 48th regiment returned to United States for redeployment to reduce the U.S. Army’s strength in the islands by 40 percent. Shortly after its returned, members of the 48th returned to civilian life. In February 1901, the U.S. congressed authorized the enlistment of 12,000 Filipinos for military service. 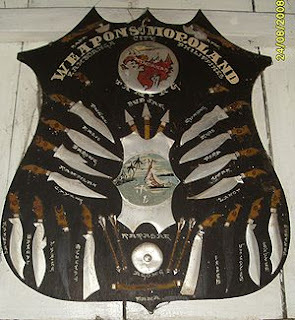 This resulted in the formation of the Philippine scouts which were armed with .45 caliber Springfield carbines. Hoping to serve as a lieutenant in the Philippine scouts, Loving sought the help of influential people that he knew in the army to get an officer’s commission in the Philippines. Loving was not the only African-American who wanted to return to the Philippines. A number of veterans from the 48th and 49th volunteer infantry regiments elected to remain in the Philippines and settled down with their Filipina girlfriends or wives. These men did not have the desire to return to the U.S. because of America’s animosities towards the colored race. One of Loving’s fellow officer who stayed in the Philippines is Adolph Wakefield, who worked as a civilian packer for the Quartermaster’s Department. Wakefield died in July 1902 from cholera. In 1902, Loving returned to the Philippines and worked as a subinspector in the Philippine constabulary. At the request of William Howard Taft, first Philippine governor-general, Loving started work in organizing a Constabulary band. He was promoted to second lieutenant in the end of 1902 then to first lieutenant in August 1903. During his stay in the Philippines, Lt. Loving became fluent in Spanish and Tagalog dialect which became helpful in search for first class Filipino musicians. One of the musicians that Lt. Loving recruited was Pedro B. Navarro who was able to play every wind instrument in the band. Navarro eventually succeeded Loving as the band’s director. The citizens of Manila always enjoyed the Philippine Constabulary band two-hour evening concerts at Luneta park. 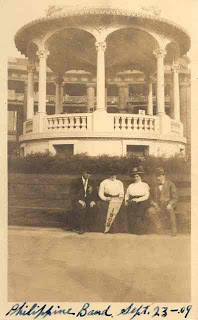 The band’s first international break came at the St. Louis World’s fair at St. Louis, Missouri in 1904. The fair covered a massive 1200 acre area with 1500 buildings connected by 75 miles of roads and walkways. The fair was delayed from 1903 to 1904 to allow more attendees coming from states and foreign lands. Exhibits were staged by 62 foreign countries, and 43 out of 45-then U.S. states. The exhibits that were featured were industries, cities, organizations, corporations, music schools, etc. The Philippine authorities decided to send 1,100 Filipinos to create a 47-acre exhibit. At the Philippine exhibit, it featured the primitive life of the Igorots and Filipino Muslims. The Philippine Constabulary battalion was composed of 280 men led by 12 officers plus Loving and his 80 band members. Lt. Loving’s PC band had a busy schedule of playing at opening ceremonies and parades exhibition drills. The band’s evening and tri-weekly concerts became a very popular attraction to the 19 million visitors that came to the exhibit. On one particular evening concert by the PC band, the power went out. Lt. Loving quickly tied a white handkerchief to his baton so that it can seen by the band members and the band continued playing the William Tell Overture in the dark. The PC band played without missing a note because Loving trained his musicians to memorize the repertoire. The band also traveled to other places in United States. They led a 10,000-man parade of the Knights of Phythias in Louisville, Kentucky. In Milwaukee, Wisconsin, the band played at the Wisconsin State fair where 20,000 people attended the opening day. When President Roosevelt went to the St. Louis fair, it was believed that Pres. Roosevelt and Loving met because Roosevelt wrote a letter to Lt. Loving thanking him for the shield that contained miniature Filipino weapons that Loving gave to the president as a gift. After the St. Louis World fair, the Constabulary band bought string instruments and started playing as a symphony orchestra. When William Taft became the 27th president of United States, he invited Lt. Loving and his band to play at his presidential inauguration at Washington D.C. The inaugural committee offered to pay the band $650 for two concerts on March 5 & 6, 1909. At this point, the only problem the band needs to resolve is how to raise the $28,000 needed for the whole band to travel to the presidential inauguration. It was eventually agreed that the band will raise the money by staging a concert tour across the U.S.
On its way to the U.S., the PC band had a concert at the Nagasaki Hotel. After arriving in California, the band traveled across the country performing in successful concerts. After playing at President Taft’s inauguration, the newspaper The Evening Star reported great appreciation and praise for the “Little brown men and their director”. Before leaving Washington, the band played at the White House honoring Japanese dignitaries. The band went on tour and performed in Chicago, New York city, Buffalo, Detroit, Cincinnati, Denver, Salt Lake city, Los Angeles and San Francisco. While the band was on board a transport ship in San Francisco bay, President Taft happened to be riding a cutter. He ordered his vessel to pull along side the transport ship. While the Filipino band was playing “Hail to the chief” on the bridge, Pres. Taft shouted to the Filipino band, “Goodbye, boys. I wish you a pleasant voyage”. The transport had a short stop over in Hawaii where the band performed before deposed Queen Liliuokalani. 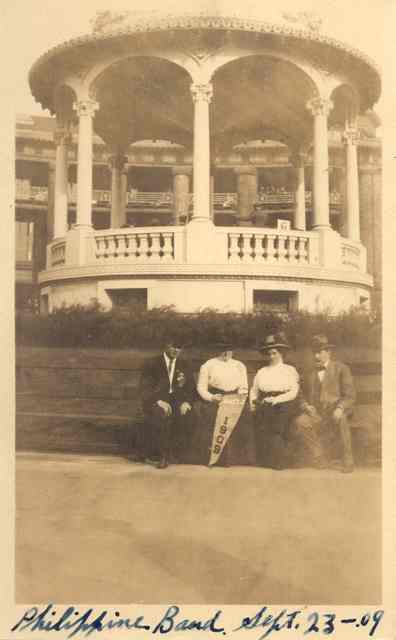 In 1915, the PC band returned to the U.S. and performed at another World’s fair held in San Francisco. At the fair, the PC band was joined by the United States Marine band. Loving had not been feeling well due to severe throat problems. He passed his baton to his chief musician, Pedro Navarro. In 1916, Loving requested a medical retirement from the constabulary. He conducted his retirement concert in Luneta where he was given a watch and a cup as a retirement gift by his well wishers. Loving moved to Oakland, California and retired as a major. A short time later, he married Edith McCary, a daughter of an army paymaster’s clerk whom he had met ten years earlier in Manila. In May 1917, they had their first son, Walter Jr. In September 1917, shortly after the U.S. declared war with Germany, Loving worked as a civilian for the Military Intelligence (MI). After his service ended with the military intelligence in August 1919, Loving and his wife moved to Manila and began directing the Philippine Constabulary band again. He also trained the City Boy’s Reformation band with a pay rate of ten pesos per day. 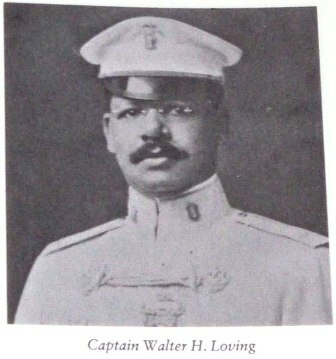 In 1923, Loving had a second farewell concert in Luneta and shortly after that concert, he moved to California taking up a post as a Major in the Officer’s Reserve corps. In 1936, the Philippine constabulary merged with the army as a constabulary division. President Manuel Quezon decided to ask retired Major Loving to direct the new Philippine army band. Loving accepted the offer and he brought his family back to Manila in October 1937. As a token of his gratitude to President Quezon who promoted him to Lt. Colonel in the Philippine Army, Colonel Loving composed a song entitled “Marcha de los Colectivistas” to honor the political party headed by President Quezon. In 1939 after the Constabulary was separated from the Army, Col. Loving brought back the PC band to United States to play at the Golden Gate International Exposition in San Francisco, California. It was believed that Col. Loving retired from service when World War II began. To avoid the distraction of Manila, it was declared an open city. In early 1942, the Japanese occupied Manila and interned a few thousand American, British and other foreign nationals in the grounds of Santo Tomas University in Manila. Among those who were interned were the Loving family. When the American forces returned to the Philippines in early 1945, thousands of Japanese troops decided to fight till death on the streets and buildings of Manila. The Japanese set the city on fire and there was chaos all around the city. The Loving family tried to escape by running towards the shores of Manila Bay but a Japanese soldier separated Col. Loving and his wife. Edith Loving was sent to Bay View Hotel in Ermita with the other women. The last Edith saw her husband was he was being led away with hundreds of other prisoners to Luneta. A Filipino witness claimed that the prisoners that were led to Rizal Park were ordered by the Japanese to run to the beach. Some men tried to help Col. Loving but he told them to save themselves. It was believed that Col. Loving was beheaded by the Japanese at Rizal Park, which was the same place where he led his band on his farewell concert years earlier. After the liberation of Manila, Edith Loving returned to United States. She returned to the Philippines on 1952 to attend the Constabulary’s 50th anniversary. She died in 1996 at the age of 101. Their son, Walter H. Loving Jr., served 2 ½ years during World War II and was commissioned as an infantry officer in June 1945. He served during the Korean War as an artillery captain and later joined the National Guard. He retired with a rank of colonel in 1969. He died in California in 1969. Here is a photo of Loving conducting at Malacanan Palace, circa 1939. Excellent article! If memory serves me correctly, in a biography written by one of Loving's descendants is that none other Gen. Yamashita beheaded Loving at the entrance of the Manila Hotel when Loving told the Japanese general he would not be going with Yamashita (perhaps to the Luneta). So the General beheaded Walter Loving on the spot. Fascinating write. However, I dont think your anecdote about the band playing the William Tell Overture in the dark happened in 1904. It happened decades after, sometime after 1937 because my late grandfather was part of that band who played in the dark and he was still a little boy in 1904. According to him, it was during the Golden Gate International Exposition when they were forced to play the William Tell Overture in the Dark.